We receive and store information such as your name, billing address, shipping address, phone number, email address, credit card information and products you purchase when you enter on our website or obtain by phone with our staff. This type of personal information is used to process your orders, respond to your requests, customize your future shopping, communicate with you and improve our store features. We also gather automatic information whenever you interact with our websites and emails. For examples, like many websites, we sometimes use ‘cookies’ to personalize your shopping experience. Cookies help us to understand our customers’ browsing paths through our website and to store account information allowing you to stay login and keep items in your shopping cart. A cookie is a small text file that a website send to your browser and store on your hard drive and you can configure your browser to notify you when a cookie is set, reject all cookies or accept all cookies. However, if you reject all cookies, you will not be able to use our website features that require you to log in. At ServerBestBuy.com, the information we collect is solely owned by ServerBestBuy.com and it is not sold or rented. We will never provide your account contact or payment information to any third party vendors, associates or service provides unless absolutely necessary in order to complete your order. Securing your information is of priority concern at ServerBestBuy.com. We use reasonable security measures to help protect the confidentiality of your personal information when you submit sensitive information via the website and our database is housed and maintained in secured locations. Access to the database is strictly monitored and protected from outside access. 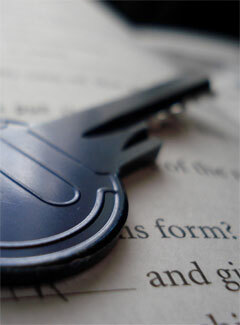 We use a technology called Secure Sockets Layer (SSL) to encrypt information you provide to us. When you purchase via our website, we reveal only the last four digits of your credit card numbers when confirming an order and the credit card number is directly transmitted to the credit card payment company during order processing so we do not store your credit card information on our website or any of our computer or other device. You will be asked to enter your personal information when you create an account at ServerBestBuy.com. We strongly recommend you to safeguard your password and log out of your account each time you finish accessing it, especially when you use a shared computer.